Not that “decentralized” after all? The website CryptoCompare defines a decentralized exchange as “an exchange market that does not rely on a third party service to hold the customer’s funds”. Often, decentralized exchanges rely on the blockchain to store an order book and to match trades through a smart contract. The custody of the cryptocurrencies is done directly by the clients through their own wallet. Allowing a fiat to crypto transaction always needs an off chain operation. Someone, either the exchange or its custodian, needs to make sure that the clients’ funds are stored and dedicated to the exchange’s activity in order to ensure that players on the market don’t withdraw funds that have been placed in pending buy or sell orders. For instance, if trader A is selling BTC for USD to trader B, trader B wants to be sure that the USDs of trader A actually “exist” and will be transferred to his account. As USD is not a digital asset allowing traders’ balances to be checked on a public, decentralized and “true” ledger, fiat-to-crypto transfers must go through a centralized trusted third party that holds the record of ownership of the said USDs. This is why all fiat-to-crypto exchanges are centralized. Alternatives exist, in the name of stable coins like USDT which value is equal to 1 dollar. USDTs are digital tokens that rely on the Tether blockchain. 1 token of stable coin is created anytime 1 “real” USD is deposited into Tether’s bank account, and 1 token is destroyed every time 1 USD is withdrawn. In this case the centralization comes from the fact that Tether has to store in a bank the exact amount of USD than exists stable coins. In other words, investors have to trust them to keep the exact same amount of USD in a bank account than exists stable coin. Any withdrawal leads to a destruction of USDT and any deposit a creation. This is obviously an off chain process, as human interaction and trust in the deposit and withdrawal processes are needed. For instance, you cannot exchange in a fully off chain transaction BTC for ZEC. As the buyer’s and seller’s BTC and ZEC wallets don’t interact together, you need a centralized third party (typically an exchange or an OTC broker) that makes sure BTCs are transferred from one wallet to another and that ZECs goes the opposite way. The ugly truth: decentralized exchanges can be … centralized ! What does decentralization mean ? Very simply, it is the fact of not having a central intermediary. A lot of so called decentralized exchanges are mistaken for being decentralized, because they actually rely on a centralized party, which is the exchange’s own infrastructure, including the order matching smart contract. In most of decentralized exchanges, when placing an order, traders send their coins to a smart contract, which then sends the funds to the buyers. Going through this central smart contract for clearing trades requires trust in the code of the contract, and the ability of the whole team behind the exchange. What happens if there is an error in the smart contract code? Recent history has shown that even the best Solidity coders can make million-dollar errors, such as the Parity wallet team. As a matter of fact, because “centralized” decentralized exchanges hold the funds of their clients while their orders are pending, they are considered as Money Transmitters in the US and Payment Service Providers in Europe, and have to be regulated in order to operate in a compliant and legal way. Actual decentralized exchanges don’t involve a centralized smart contract — they offer pure peer-to-peer, wallet-to-wallet transactions, just like AirSwap(which just started offering LGO tokens). Moreover, the technical infrastructure of the exchange can be compromised. This risk is centralized at the operating company level, and requires trust on its ability to protect its business. See for instance the recent DNS hack of EtherDelta which resulted in over 30 ETH being stolen. Decentralized exchange offer a great alternative to fully centralized exchanges, the main one being the ability for traders to control and custody their own funds. This leads to less counterparty risk and an additional confidence in one’s ability to trade cryptocurrency. With the blockchain adding as the trust layer between the different traders on a decentralized exchange, peer-to-peer and trust-less trading is made possible on some platforms, to the extent that they do not add a level of centralization themselves. Decentralized exchanges currently face some limitations that will arguably prevent them from replacing centralized exchanges. The main limitation is the fact that a fully decentralized exchange cannot list fiat-to-crypto pairs such as BTCUSD or cross blockchain pairs like ETHBTC. This is extremely important to underline, as the vast majority of trading flows are led by these 2 types of assets. 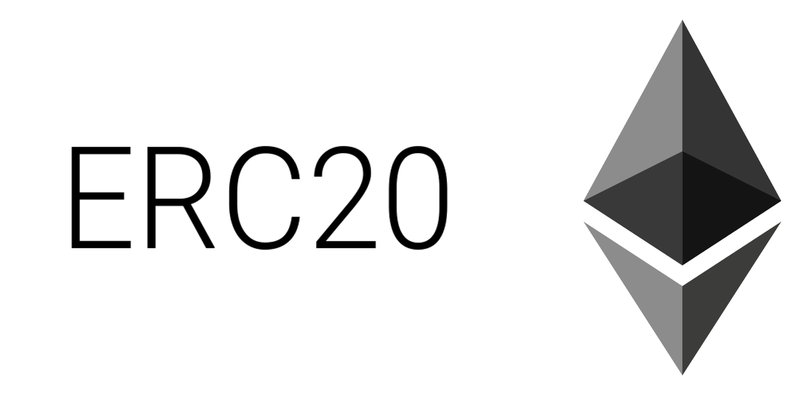 ERC20 tokens to ERC20 token trading is still a relatively niche market — and it’s pretty much the only one decentralized exchanges can operate in today. Other limitations are linked to the blockchain underlying the exchange: decentralized trading is expensive! Because coins are sent from one wallet to the other, traders have to pay for the blockchain transaction fees — in addition to the potential exchange transaction fee. According to BitInfoCharts, the average transaction fee on the Ethereum blockchain was 0.53 USD in June 18 — down from more than 4 dollars in January 18. For a transaction worth 100 dollars, this is a 53 basis point transaction fee, which compares to the exchange industry standard of 10 to 25 basis points. This is not mentioning that the volatility on the blockchain transaction fee adds some operational complexities for frequent traders on decentralized exchanges. For institutional investors, decentralized exchanges are not today a viable alternative to centralized exchanges, because of their lack of offering in terms of trading pairs and for the relatively high and uncertain cost of transaction. Their most interesting feature, which is the self custody of coins, is a very good addition to the crypto space but doesn’t create a huge value in the traditional institutional space, which relies on qualified custodian to store their assets. It is LGO Markets’ mission to understand both our future clients’ needs and the technological opportunities that blockchain bring. We aim at bringing together the best of both worlds.